Kettler is now officially LOFAssured. 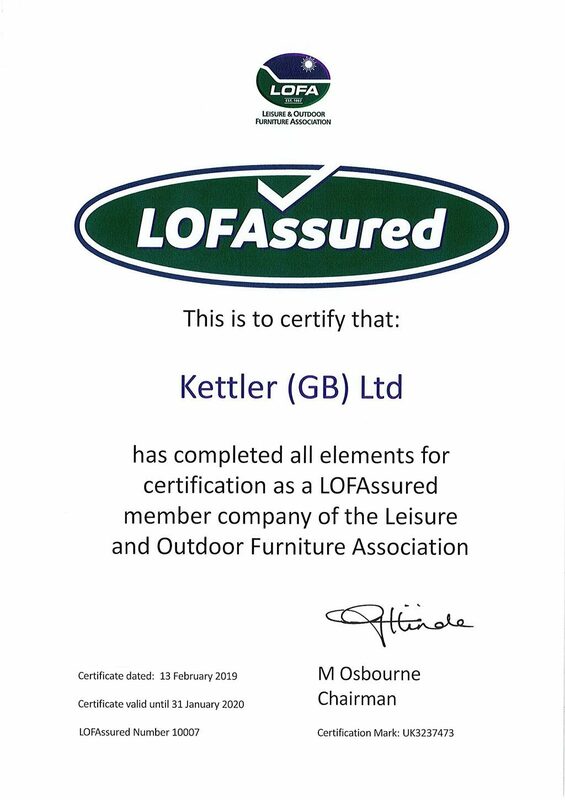 LOFA is the Leisure & Outdoor Furniture Association, and we are a member. They give us advice and services to ensure our products are compliant with official regulations so we can create the best furniture for the end consumer. The LOFAssured scheme is an audit process which all LOFA members must pass. The scheme ensures we adhere to best business practices. The LOFAssured label means we do everything in our power to comply with the Flammability Regulations. We perform ample due diligence during the manufacturing process, therefore, ensuring our products come readymade for your home. The Furniture and Furnishings (Fire Safety) Regulations 1988 set levels of fire resistance for domestic upholstered furniture, furnishings and other products containing upholstery. It is illegal for furniture not to comply with these regulations. All filling material in upholstered furniture must meet the specified ignition requirement. Upholstery composites must be Cigarette Resistant. Covers/Outer Material must be Match Resistant. Every item of furniture must have a permanent label. A display label must be present at the point of sale. The initiative ensures all cushions comply with Trading Standards as well as FIRA’s (Furniture Industry Research Association) fire safety regulations. 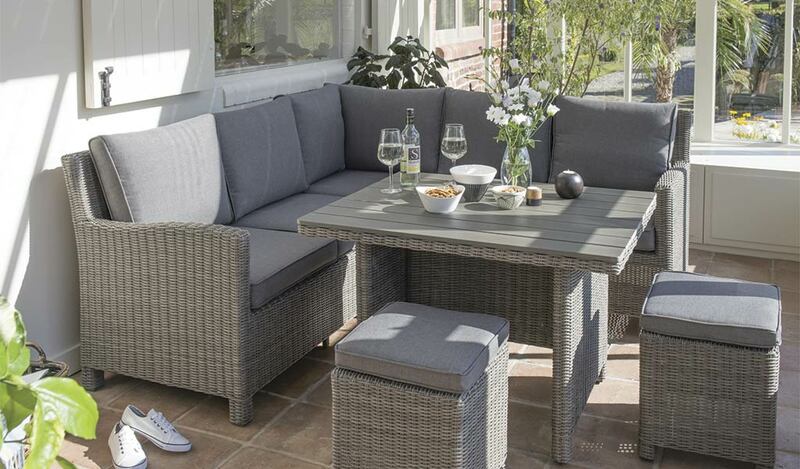 With the LOFAssured tag on our garden furniture, you can take comfort in the knowledge that our cushions are up to standard.